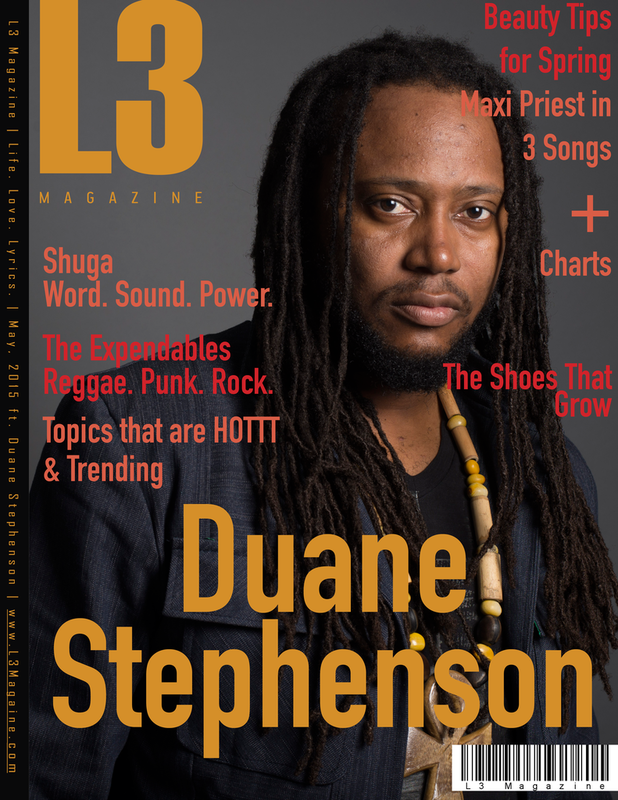 International Reggae Superstar Duane Stephenson covers the May, 2015 issue of L3 Magazine. In his exclusive interview with editor in chief Natasha Von Castle, the artist talks about where he is within the Reggae fraternity, why he took time off, and his new album Dangerously Roots. As one of the most prolific singers and songwriters of modern Reggae, Duane’s musical truths about life reaches every soul which resonates deeply. L3 made Duane Minister of Youth for the world for the day, and his response to the task is one that all politicians should pay attention to. The Expendables has created their own musical lane via the fusion of Reggae, Punk and Rock. Senior writer song River spoke to the band about acceptance early in their career, and how life has been since being signed to Slightly Stoopid Records. Some readers may be shocked to know just how much time they spend on the road touring, and what they had to do to get off the road! The view from the Penthouse is sweet for one of the newest and hottest female Reggae singers on the block, Shuga! Very soft spoken and humble, Shuga tells us about her journey in music since winning Digicel Rising Stars, and how she navigates the road of ‘politics’ in the music industry: word, sound and power. This remarkable woman shares her story! Some people know Mixmaster J from Mystic Radio in the UK, and others know him as an international DJ who performs in North America, Europe and the Caribbean. This month you’ll find out what makes him ‘spin’ as the DJ feature of the month! Beauty and Fashion editor Kay Cunningham gives us some well needed Spring beauty tips, and shares the Fashions of Giberky SS 15. Senior Photographer Jerome Dupont places Nellie Robert in his lens for Model of the Month and she burns up the pages in her pink swimsuit. Also included this month are top digital download and top 10 video charts, music review of new music from Ikaya, Cham, Luciano and Michael Des Barres. We also have the perfect drink recipe for Spring socials and a unique look at window displays from Holt Renfrew in Toronto, Louis Vuitton in Paris, Gallery Lafayette in Dubai, and Prada in Italy.